Candles are made out of Wax, some are made out of Carnauba waxes and some are made out of pure insect wax. The quality of candle depends on the quality of type of wax used to made it. The wick that runs through candle is usually made out of high grade linen or cotton. Some manufactures within US and out of USA are using lead in the wick which is really dangerous for kids as per different studies conducted throughout USA. Certain amount of lead if mixed with air is highly dangerous for children. So before buying candles you must know if there is any percentage of lead mixed within the candle. Candles are usually stored at certain temperature so it won’t reach its melting point and Candle Packaging Boxes are used for this purpose. 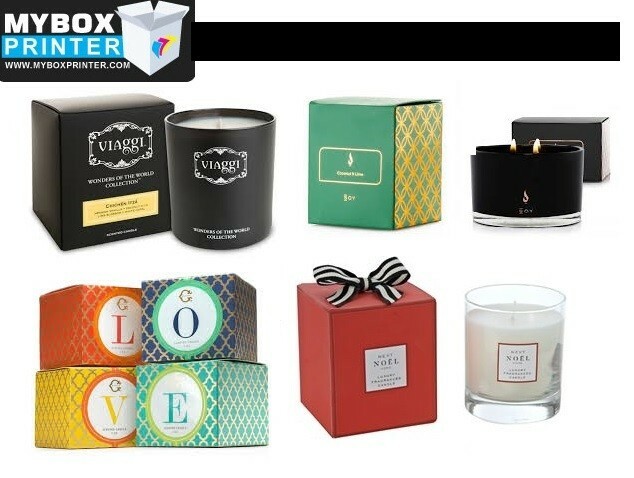 There are many kinds of candle packaging available in market. The most widely used candle boxes are the one those have tuck flaps at the top & bottom. Candle packaging actually depends on the purpose it is being used for. Most of the scented candles are used for gift so for these candles, beautifully designed candle gift boxes are required. Similarly if these are used to place on the shelf then designing and cost factors both should be analyzed before ordering candle packaging. There are many easy ways to decide which type of packaging is best for your candles. Below are the different types of candles available along with recommended packaging for these. Pillar Type Candles are usually long with base at the bottom so that these can stand on their own. These usually have one or multiple wicks depends on the height of the candle. These can be rounded or square. If you want to order packaging for these candles then the best suited packaging for these type of candles are the one those have tuck flaps at the top and auto lock bottom. As these candles can easily be slide in to the boxes from one end. Two piece boxes are also used for these kind of candles but these candle packaging boxes are usually used as gift packaging with decoration on top of those. The two piece boxes are expensive so are only used for gift packaging and for retail only tuck flap boxes are used because of their cost effective nature. Taper Type Candles are long and thin. These kind of candles are used to put on candle holders. Again tuck flap packaging is best for these kind of candles because of their small and slim size. Container Type Candles usually burn in some sort of container. They are expensive type of candles and run for a long time because the melted wax don’t gets wasted and remains in the container in which it burns. The containers for these candles can be of any shape and style. For these kind of candles, thick cardboard boxes are used because of their weight. Most suited candle packaging boxes for these candles is two piece boxes with big bottom lid and small top lid. Votive Type Candles are very small in size maybe about 2 to 3 inch long and about 1 inch in diameter. These type of candles don’t burn for a longer period of time and can only last for about 1 day. Most suited packaging for these candles are RTE or STE type boxes with tuck flaps at both ends. Tealight Type Candles are also small candles and are used to burn under some pot or dish. These are usually encased in small round metal containers. These type of candles are usually packaged in bulk quantities and not in single unit packaging. Most common is a pack of 12 candles. Most suited packaging for these candles is the locking mailer style box and 12 candles can easily be placed inside that box along with insert that will keep them in place. For all above candle types Candle packaging boxes can be fully customized with color, size and shape. Custom full color printing can be done along with foiling, embossing and UV coating for extra decoration. ← Why Wallet Box is Absolutely Important for Leather Wallets?